Marlane Youngblood is an independent government liaison and media consultant. Before retiring in 2013, Marlane served four years in the KY Governor’s Office for Military Affairs. As a seasoned public servant, Marlane developed innovative and effective strategies, programs and policies to assist transitioning defense communities with the support of the Department of Defense, Office of Economic Adjustment (OEA). 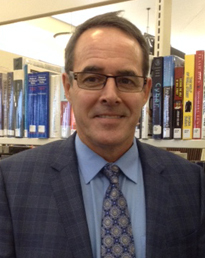 Marlane also dedicated more than 20 years to service in Education at the Elizabethtown Independent School District. 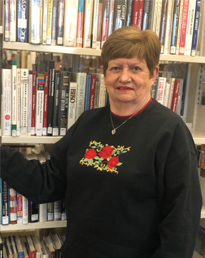 In addition to serving with the Hardin County Public Library Board of Trustees since 2013, Marlane supports other community organizations such as the Civil Service Commission. Appointed by the Mayor in 2013, she serves the leadership of both the Elizabethtown Fire and Police Departments. In her down time she is busy traveling, cycling, running and gardening. Marlane especially enjoys photographing ancient cities to capture how different cultures live today. Marlane holds a Masters Degree in Education from Western Kentucky University, KY. She resides in Elizabethtown, KY with her husband Greg. They have three children and four grandchildren. Dr. Will Flanagan was born in Paducah and after several years of moving, settled in Campbellsville, where he graduated from Taylor County High. While there he achieved the rank of Eagle Scout. He then attended Georgetown College and after graduation married his lovely wife Amy and moved to Auburn, Alabama to attend Auburn University College of Veterinary Medicine. He attained the degree of Doctor of Veterinary Medicine. After a short stint in Bowling Green, Dr. Flanagan bought his first practice in Elizabethtown and has continued to live, grow, and work in the community he loves. Dr. Flanagan has been married to Amy for 25 years. They have a daughter, Grace, who is currently in her second year at Furman University and a son, Jackson, who is currently a junior at Central Hardin High School. 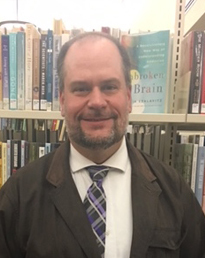 Dr. Flanagan is currently serving his second round as a trustee at the Hardin County Public Library and is so honored and proud to be a part of the library family. Sue Story is a native of Hardin County who graduated from Howevalley High School. She earned a BS Degree from Campbellsville University and a MA and Rank I degrees from Western Kentucky University. She taught 27 and one half years for the Hardin County School System and also taught part-time 6 yrs. for ECTC. 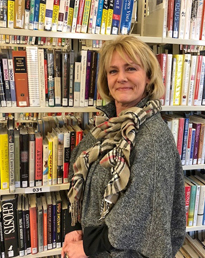 She is an experienced, certified library trustee having already served 2 four-year terms. When she is not volunteering or working with her service organizations, she loves reading cozy mysteries and collecting cookbooks. Kevin Addington is a lifelong resident of Elizabethtown and a graduate of Elizabethtown High School and the University of Kentucky with a bachelors in agricultural economics. His business involves commercial warehousing, automotive service, banking, and transportation. He and his wife Lisa have 3 children. Shane 17, Lily 14, and Ava 10. He is involved with the rotary club, Central Ky. Community Foundation, Hardin County Library Board, Hardin Memorial Hospital Foundation, and Elizabethtown Police Foundation. His hobbies include historic building and automotive restoration along with family activities. His family are members of First Presbyterian Church in Elizabethtown. 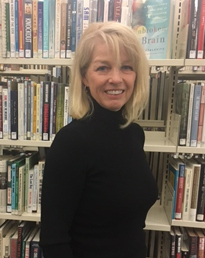 Melody Goodin is a native of Georgetown and attended the University of Kentucky and Western Kentucky University where she earned a bachelor’s degree in Communication Disorders/Gerontology. She has been a business owner since the age of nineteen and is currently the proprietress of Boundary Oak Distillery in Radcliff. She is a member of St. James Catholic Church and previously worked there as a pre-school teacher. She is also a member of the Zonta Club of Elizabethtown. Melody has been a library advocate and she promotes the library and its services, especially the bookmobile, wherever she goes. She previously served on the board of trustees as Vice-President and Treasurer and has recently been elected Secretary. She is the mother of three sons and in addition to her volunteer work, she enjoys reading and cooking.